My mom made sure I left with enough projects to keep me busy! My newest project is to create the table numbers for our tables. This one is really simple and easy to do! 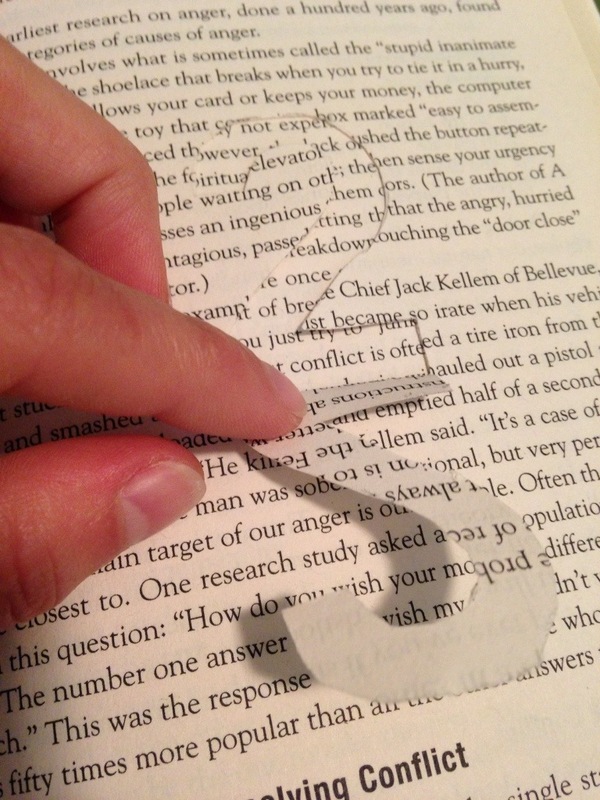 Start out by finding the middle of your book and breaking the binding a little so it sits flat. 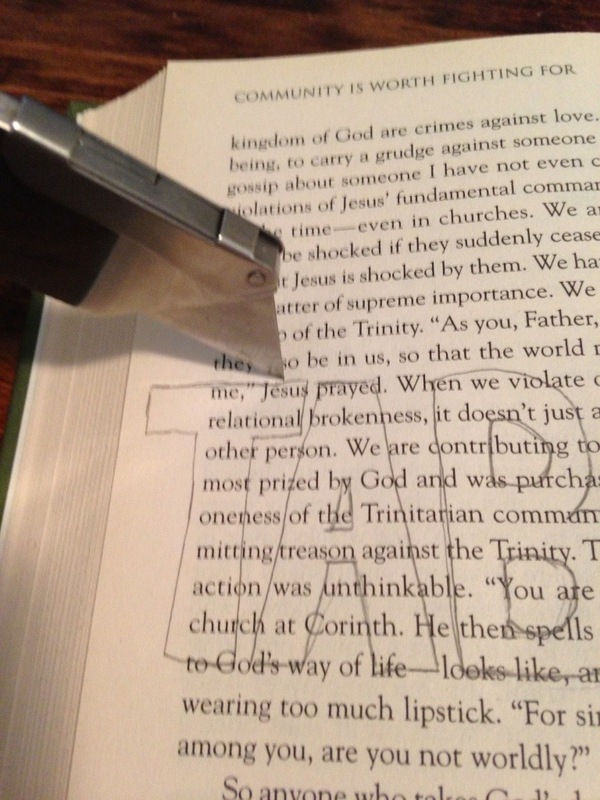 This whole project is sorta about destroying a book, and I’ll admit it does hurt a little. 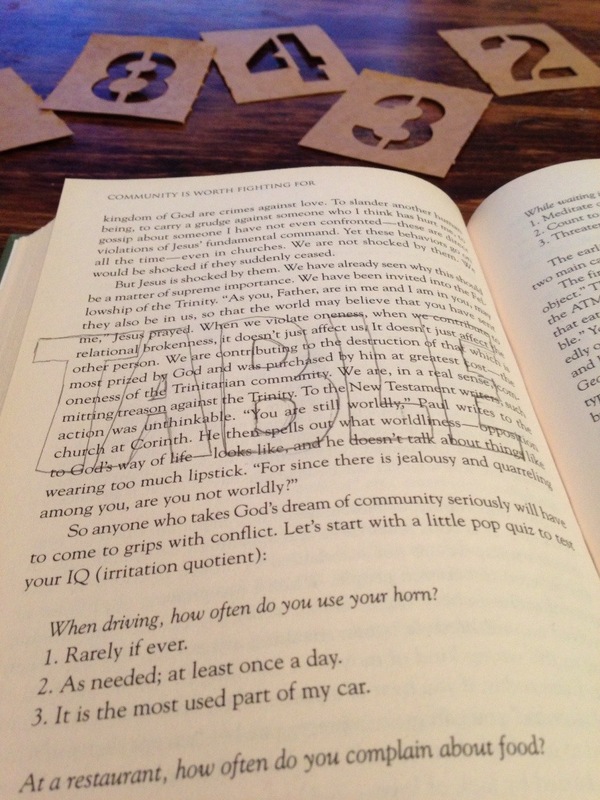 I’m using books I don’t like so I don’t feel as bad. 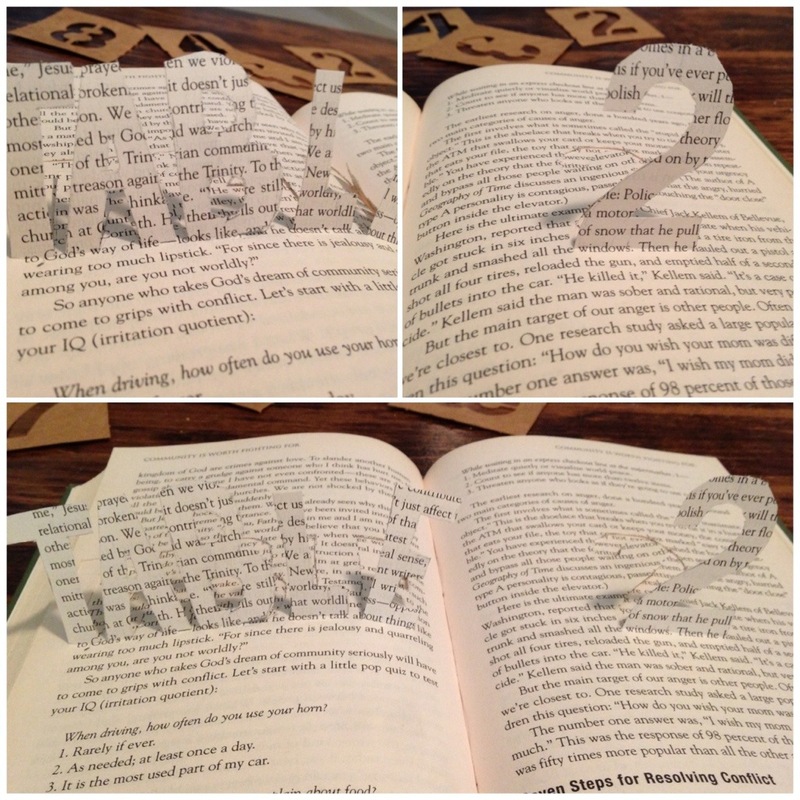 Once your book is lying flat you can use your stencils to trace the letters on the book. Now I had a slight problem, the stencils I chose were a little too large. I had to free-hand the letters in “table.” Hopefully your stencils will be the right size! 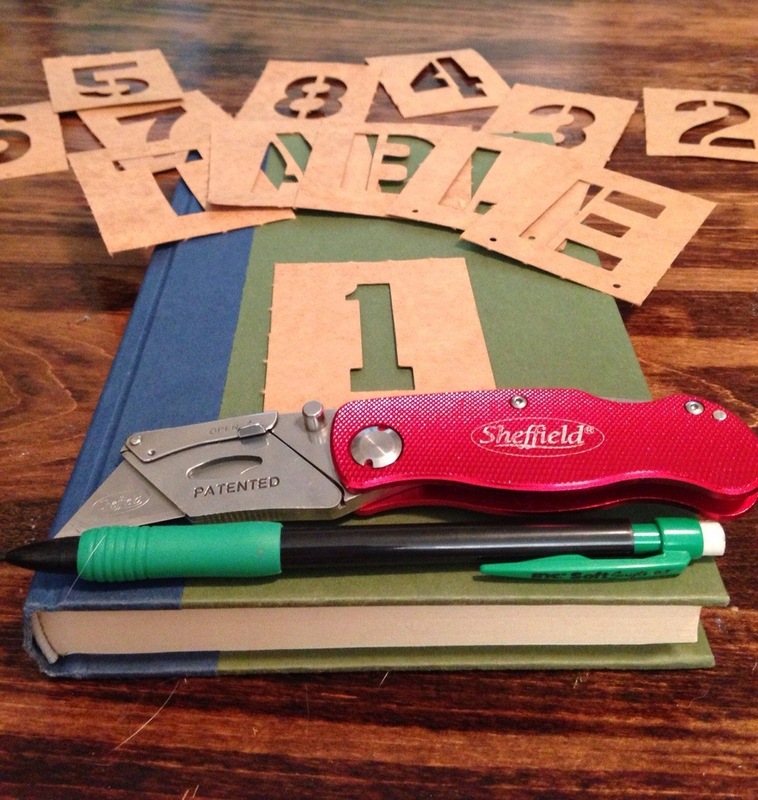 After tracing, take your knife and cut around the letters (and number), all but the bottom! This way, you can stand the letters up. Once they are cut out, bend them forward so they stand straight up. And that’s it! It’s a pretty quick and simple process. If you have a lot if tables, it will be time consuming, but manageable. What were your table numbers like?